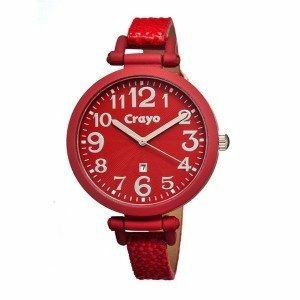 Crayo Balloon Ladies Watch Only $19 Shipped! You are here: Home / Great Deals / Crayo Balloon Ladies Watch Only $19 Shipped! Check out this great deal on Maxwell’s Attic perfect for gift giving! Crayo Balloon Ladies Watch Only $19 Shipped! Choose from 9 hot colors perfect for mixing with your Spring Wardrobe! Grab this and other great deals every day at Maxwell’s Attic!